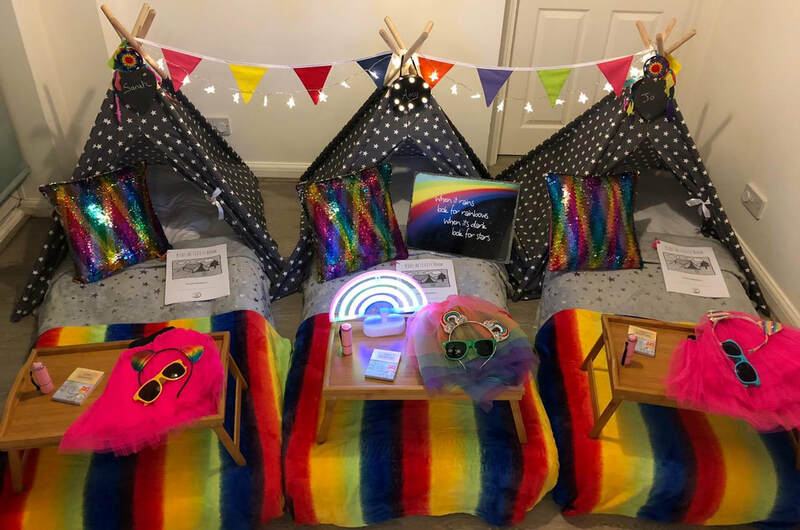 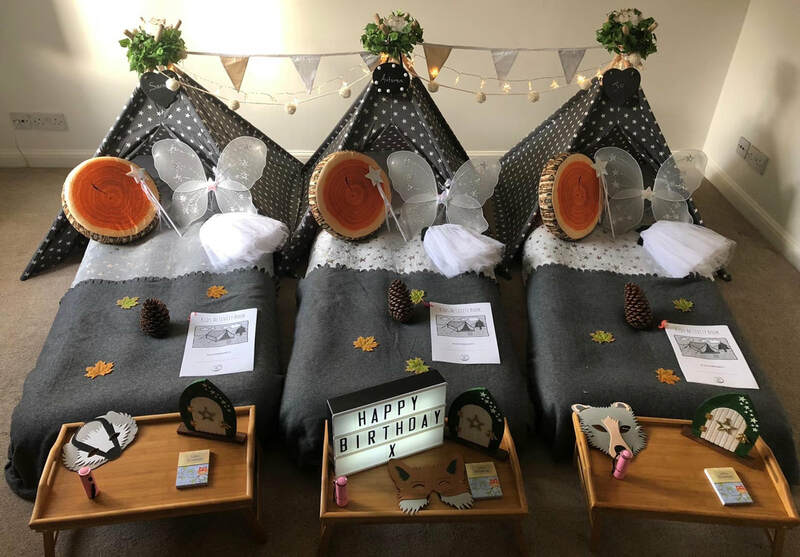 Offering children's indoor teepee party sleepovers for boys and girls all year round. 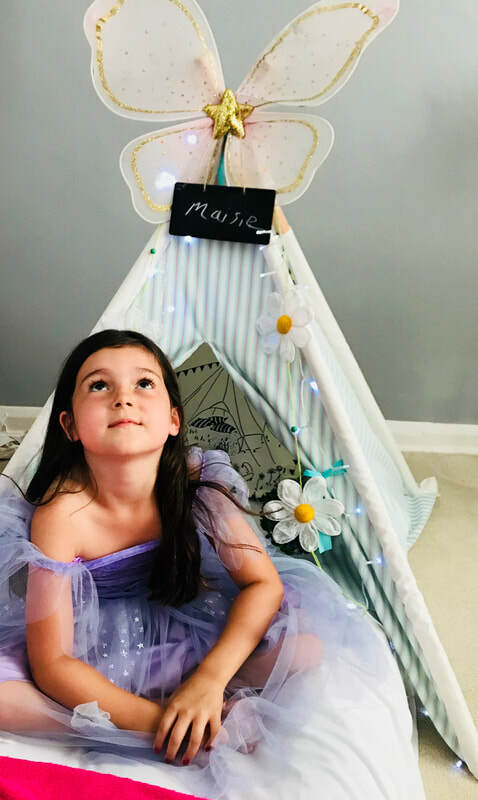 Knowing how much kids love camping and sleepovers, we have combined both in one super-brilliant concept: indoor glamping teepee parties! 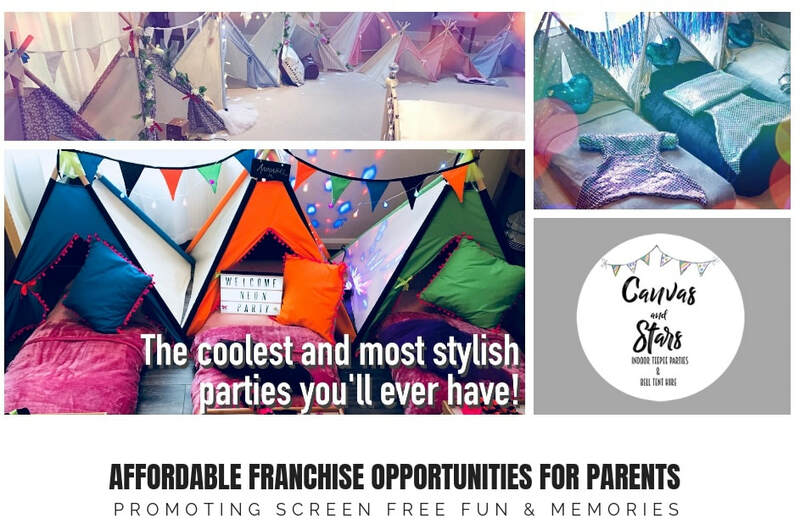 Taking all the hassle out of party planning, sheer novelty and a spectacular ‘Wow!’ factor we will make your child the host or hostess with the mostess – and then some! 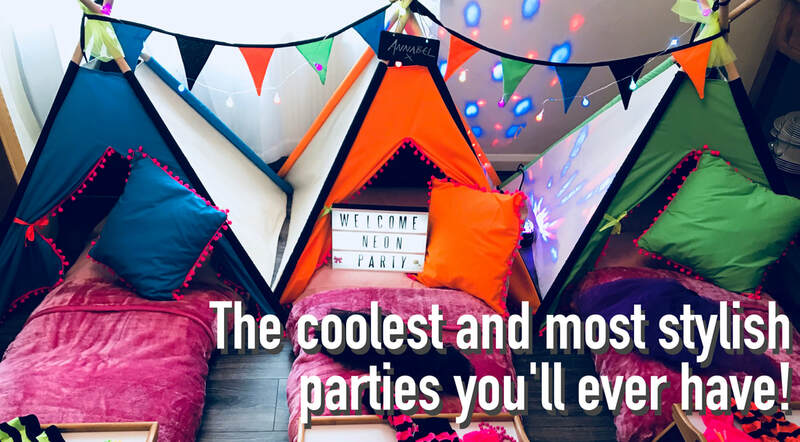 Our dedicated team will turn up, erect, dress and style your themed teepees and provide you with everything you need to make your party magical. 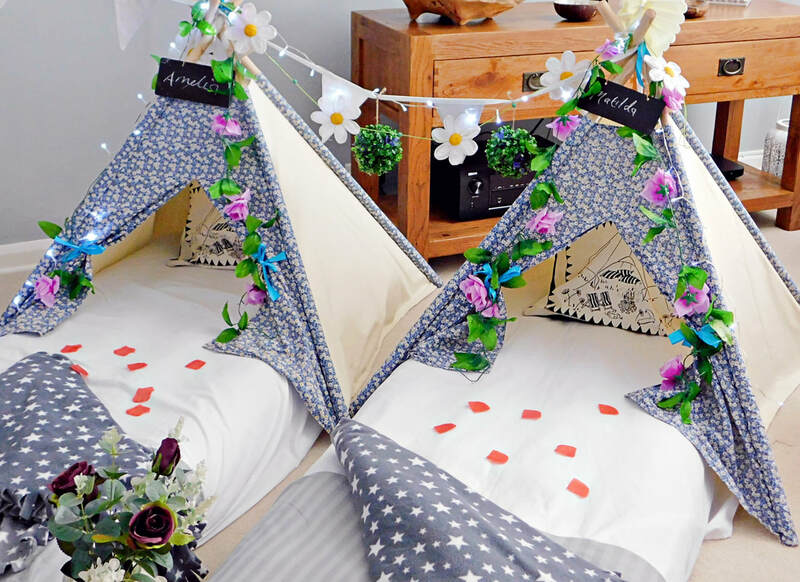 If it's a family glamping break you would like, visit Canvas and Stars Glamping (our sister site) and see our beautiful range of boutique bell tent villages.